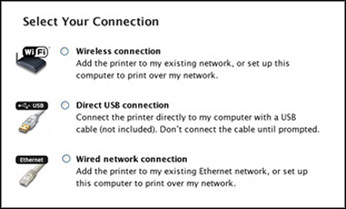 If the Wi-Fiicon is displayed, follow the instructions in the Initialize your Router and Restart your Computer section below. 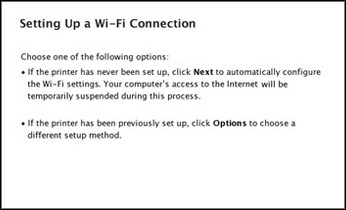 If the Wi-Fiicon is not displayed, follow the instructions in the Reinstall the Product Software section below. Press the up or down arrow buttons and select Menu, then press the OK button. Press the down arrow button and select System Administration, then press the OK button. Enter the administrator password, if necessary. Press the down arrow button and select Restore Default Settings, then press the OK button. Press the down arrow button and select Wi-Fi/Network Settings, then press the OK button. In the next window, select your product, if necessary, then click OK. Then follow any on-screen instructions.